After 7 years of this living on my dream costume list, I’ve finally made this dress! 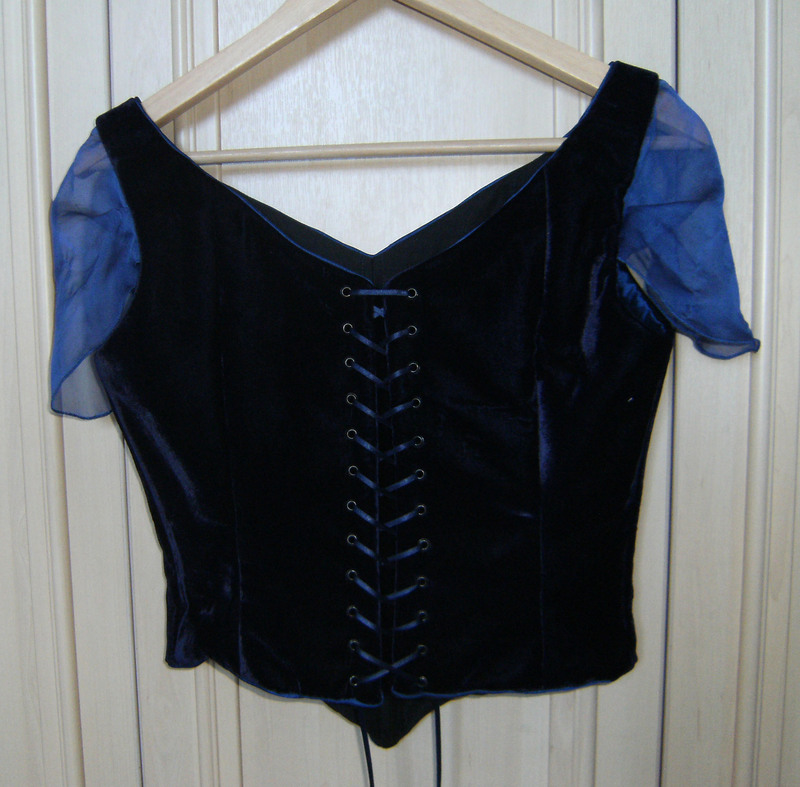 I first made a corset using Laughing Moon’s Dore pattern. It’s two layers of white coutil with spiral steel boning sandwiched in between. 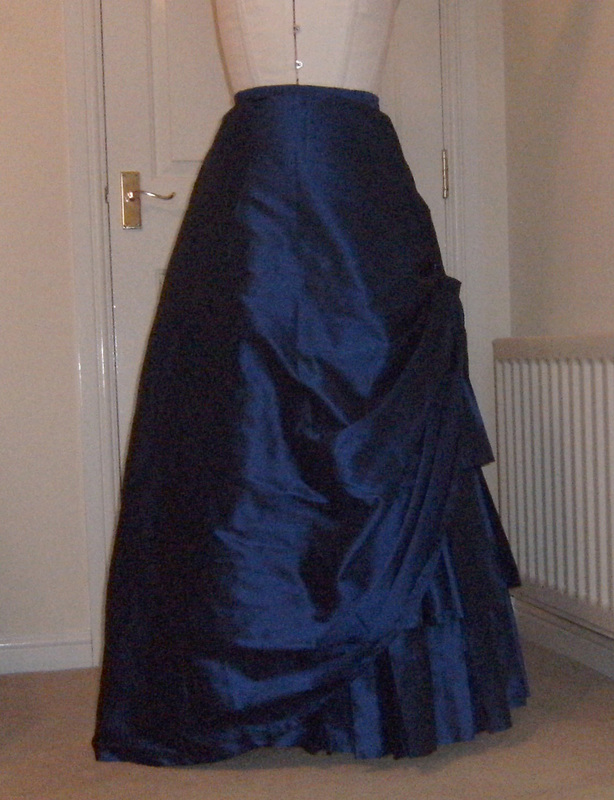 I used the petticoat from my Alice costume, pinned up at the back to create a sort-of bustle. It’s a circle skirt with a ruffle at the hem which has horsehair braid in it. I settled on wearing a suitable pair of boots I already had. They’re not accurate, but they don’t look out of place and they’ll never really be seen anyway. With boots, petticoat and corset sorted I was ready to pattern out the dress. I made a mock-up of the base skirt and experimented with the pleats to get a feel for how wide they should be and how long to make each tier. My fabric is a raw silk and I couldn’t afford a vast amount of it, so I had to be very precise with calculating how much fabric I needed. My compromise was to make a base skirt of polycotton and add on pleated sections of the silk only where they’d be visible. There’s a full row of pleats at the hem, then a second row of pleats sewn to the polycotton skirt which I had enough fabric to extend most of the way round. The third, uppermost pleats are attached at the waist and are only made up of only one width of fabric as this is the narrowest portion which will show. I used Butterick 4452 as my starting point for the overskirt. It’s gathered up at the side and held in place with a little strap which fastens with a snap. That allows me to easily undo it and iron the whole skirt. 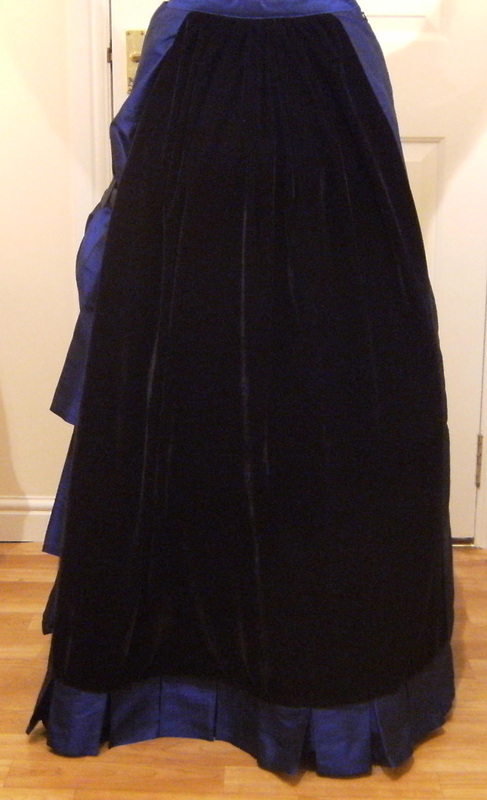 The navy velvet drape at the back was gathered up and attached to the skirt, then entire thing was finished with a waistband. The bodice also began as Butterick 4452 which I altered quite a bit. My last mock-up was made from cotton drill and was used as underlining for the final bodice. The outer velvet and silk pieces were fused with Bondaweb to these mock-up pieces. The lining is black coutil and I sewed down boning tape to form channels for spiral steel boning. I used rattail covered with bias strips of silk for the piping. Because of the piping along the top and bottom edges I decided to sew the lining and outer bodice together along both those edges then turn it right side out through the centre back. 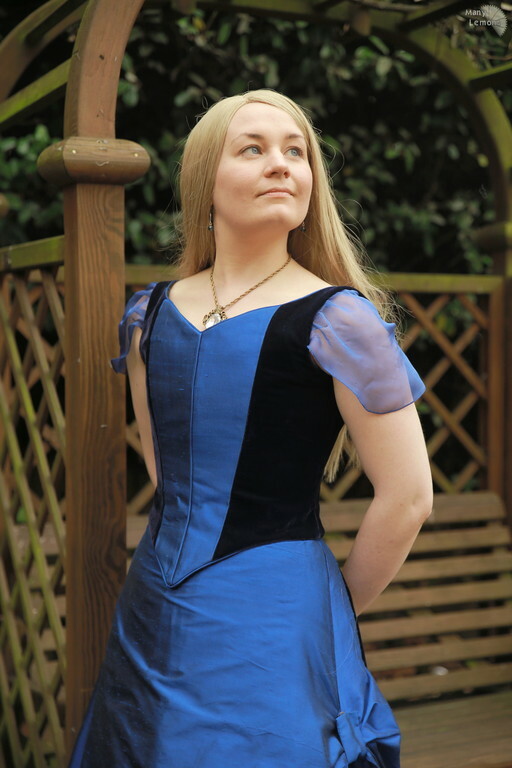 The sleeves are chiffon which I roll-hemmed, and once they were set in, the armscyes were finished with a facing, which I hand stitched to the bodice lining. I closed up the centre back edges by hand, inserted black grommets and used navy ribbon for the lacing. 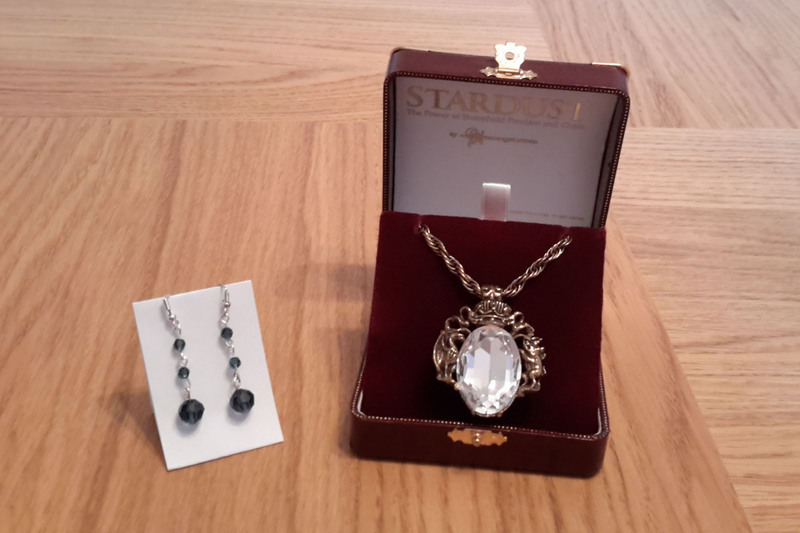 I got the Power of Stormhold necklace as a Christmas present several years ago and made the earrings. The first wig I used was a Sepia Ashley in Golden Blonde, I later replaced this with a lacefront from Amazon (Chantiche Lace Wig). Love love love Stardust!! <3 Looking forward to seeing this! awwww yay for stardust :) this shud look awesome when its done"
OMG! I love Stardust and can't wait to see this. This looks beautiful so far and so screen accurate, I can't find a fault at all! The progress is looking amazing. Loving the skirt. Hooray for Stardust cosplay :) amazing! Beautiful work as always. Helping you get dressed also meant I got to see all of the hidden work like the corset, and it was all impeccable! You should be proud to have done such a good job on a dream costume. Absolutely beautiful. You look stunning. I asked for the Power of Stormhold necklace as a Christmas present years ago and it’s now finally being worn! Jewellery is not my strong suit but I managed to assemble the earrings acceptably enough. For the wig, I initially tried to copy Yvaine’s updo but it just wasn’t looking good in wig form, even when I was using a lace front, so I gave up and went with the loose hairstyle. The wig is Sepia’s Ashley in Golden Blonde which I’ve previously used for several other costumes (Karolina, Velvet, Fleur). Only the wig and jewellery left now before the costume's complete! I closed up the centre back edges by hand, inserted black grommets and used navy ribbon for the lacing. The ribbon’s long enough so that I can leave the bodice laced up to pull it on and off over my head, then tighten the laces myself. I copied what I think the lacing pattern is, although it's not easy to see. Once they were set in, the armscyes were finished with a facing, which I’ve hand stitched to the bodice lining. I struggled with patterning out the chiffon sleeves but eventually ended up with an ok sleeve shape with tucks in the right places – it’s close enough. After fiddling about with it for a couple of weeks, I’d lost all motivation to try to perfect the pattern further. They were roll-hemmed on my overlocker with much difficulty. I eventually had to skip using the knife and cut my pieces precisely without any allowance for hemming and also use some stabiliser to get the threads to catch. Not sure why it was misbehaving so much, I think it was a combination of the awkwardness of chiffon and hemming such a tightly curved edge. The problems with hemming didn’t do anything to encourage me to persevere with improving the sleeve pattern, so once I had decent enough shape hemmed, I just stuck with it. I used rattail covered with bias strips of silk for the piping. Because of the piping along the top and bottom edges I chose to sew the lining and outer bodice together along both those edges, turn it right side out through the centre back, then close up the armsyes and centre back edges by hand. The lining is black coutil, inside and outside shown in the pictures. I attached the modesty panel at this stage. 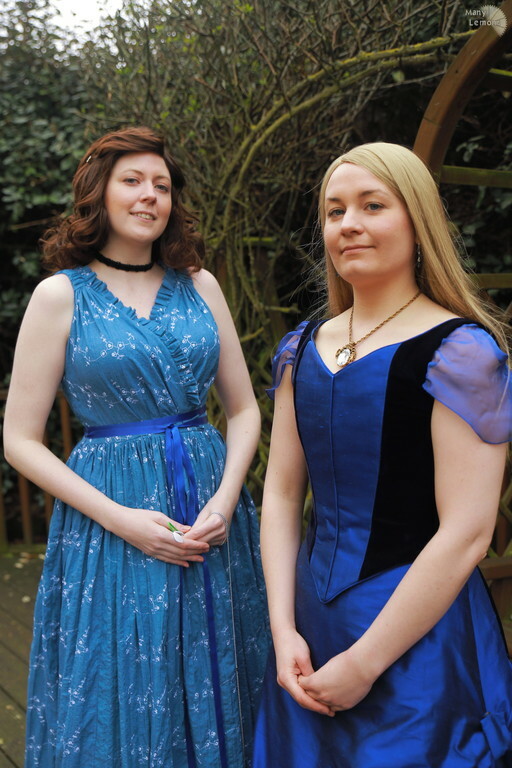 I’m not entirely sure if the real dress has a modesty panel – it might, and it’s just removed or flipped out of the way when the bodice is worn partially unlaced – but I knew I wanted one. I also sewed down boning tape to form channels for spiral steel boning. There’s boning on each seam and on either side of where the grommets would go at the centre back. I almost didn’t bother with boning given it’s being worn over a corset and the coutil lining is probably supportive enough alone, but I decided it’d be more hassle than it was worth to leave out boning then have to unpick things to insert it later if I decided it was a good idea. It certainly doesn’t do any harm, and I really like how the the topstitching on each seam looks. My final mock-up was made from cotton drill and I didn’t clip the seam allowances at the armscyes or anything so that I could take it apart and use the pieces as underlining for the final bodice. The outer velvet and silk pieces were fused with Bondaweb to these mock-up pieces, acting as interfacing, making the fabrics much more manageable and ensuring I had precise, accurate pieces too. Although the skirt pattern was useful, the main reason I’d chosen Butterick 4452 was for the bodice and it worked out fairly well. 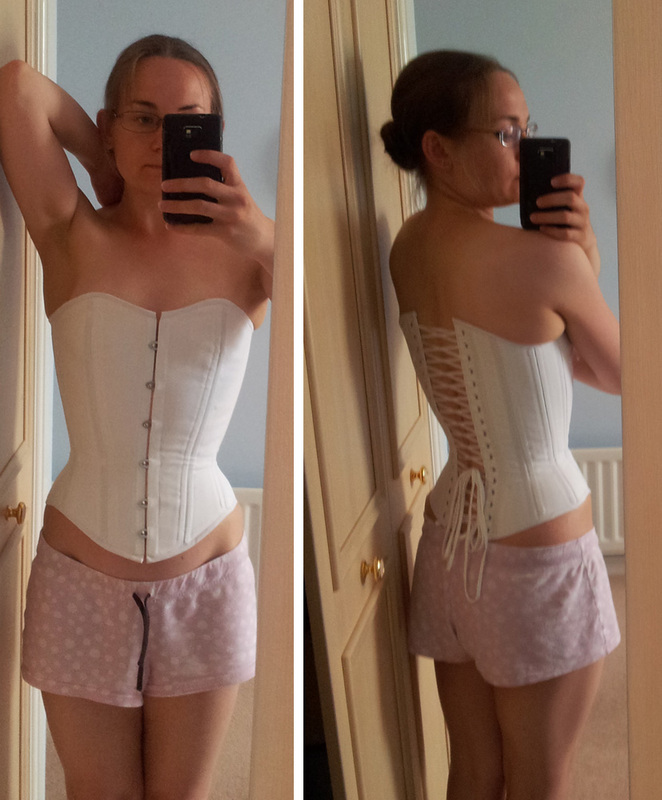 I made a mock-up following the pattern straight out of the packet then tried it on over my corset. 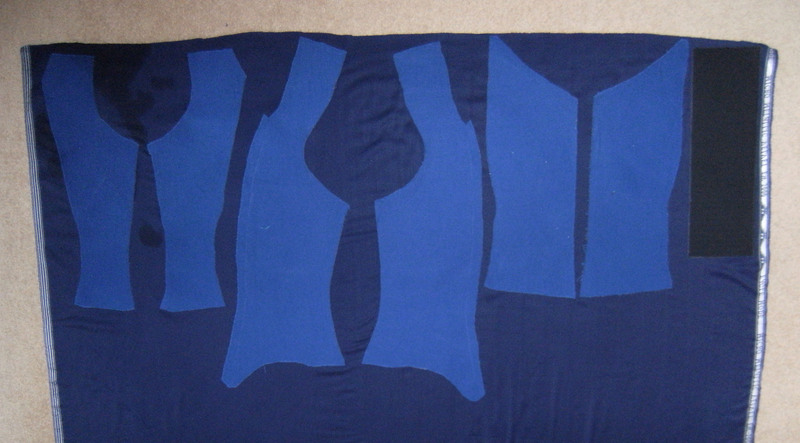 I marked out where I thought the new princess seams should be, reshaped the shoulder straps, and shortened it. I then started on an interminable series of mock-ups, using two colours of fabric to make it easier to see if I had the shape and position of those princess seams correct. I found it helpful to take a photo of myself wearing a mock-up then layer it over a reference image in Photoshop, reducing the opacity so I could see both images at once and check if the seamlines were matching up. The photo shows one of many mock-ups. 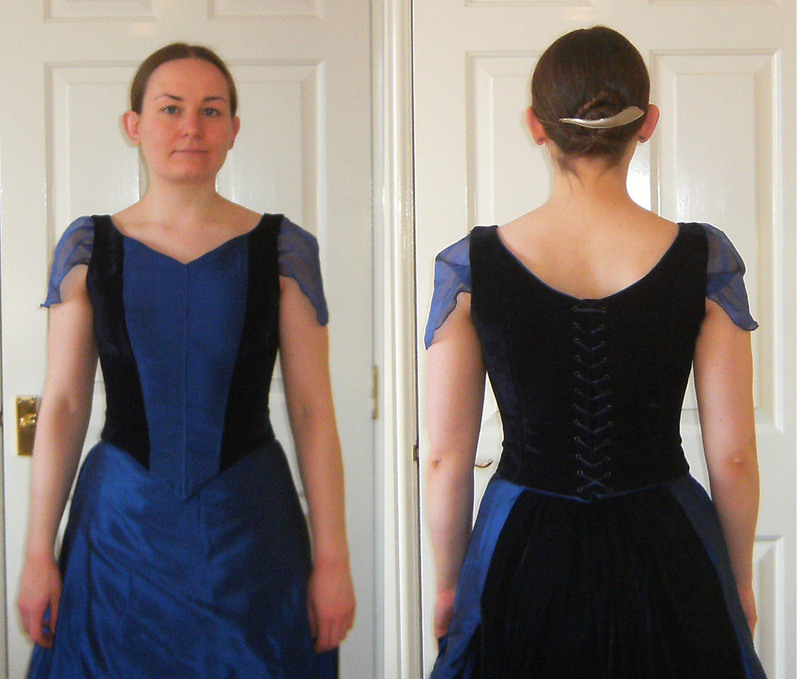 I had a lot of trouble shaping the neckline correctly, especially at the back – one of these times where having a dressform would help. I haven’t entirely figured out the side bustle. There’s certainly a loop of fabric holding up the skirt, but sometimes there seems to be an arrangement of pleats going on as well. I’ve decided on just the simple loop for now, although it’s only pinned in place at the moment. Once I’m happy with the positioning and gathering effect, I’ll sew the strap in place. 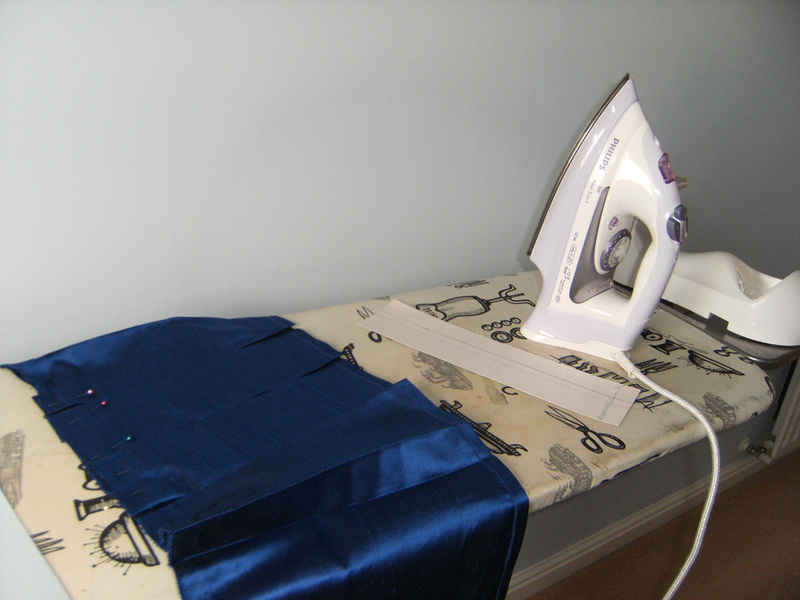 I intend to it to fasten with a snap at one end so I can easily undo it and iron the whole skirt. I began with Butterick 4452 for the overskirt. 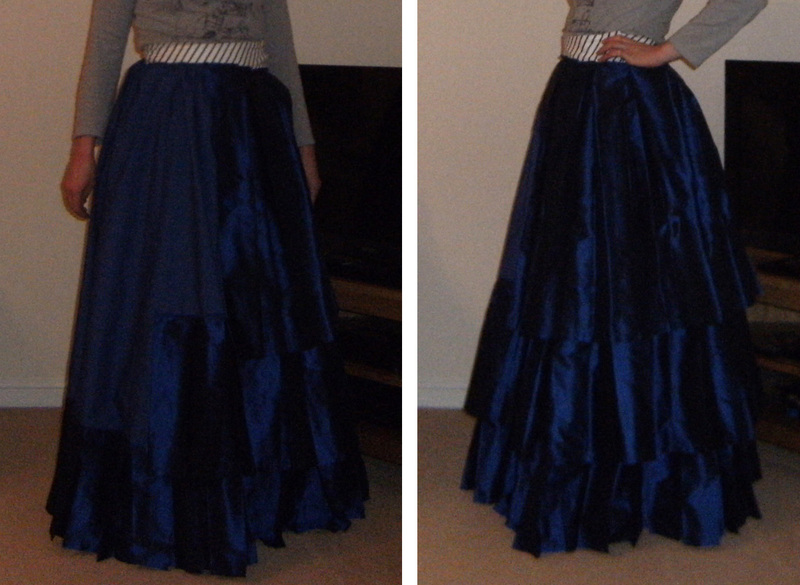 I made a quick mock-up to check it would fit nicely over the pleated base skirt and should gather up at the side ok. It all went fairly smoothly without the need for many adjustments. 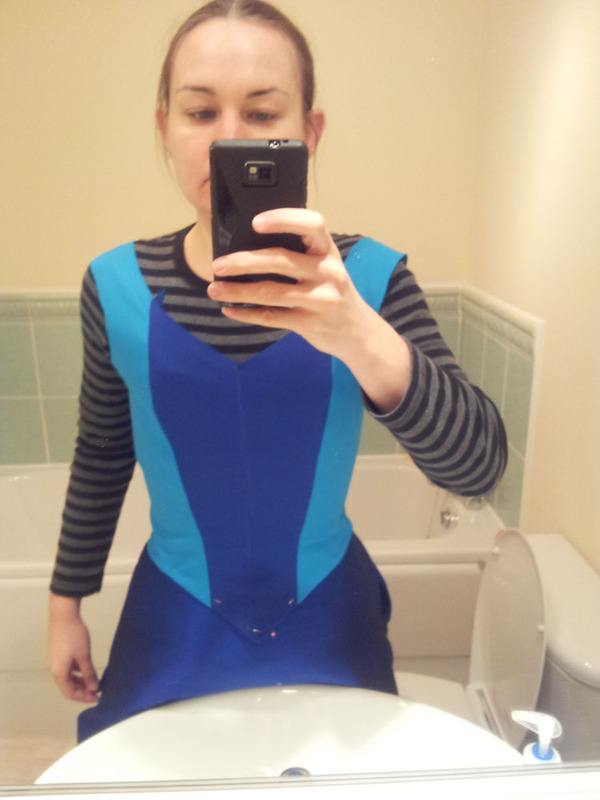 I ended up omitting the darts and putting in 4 pleats at the back. 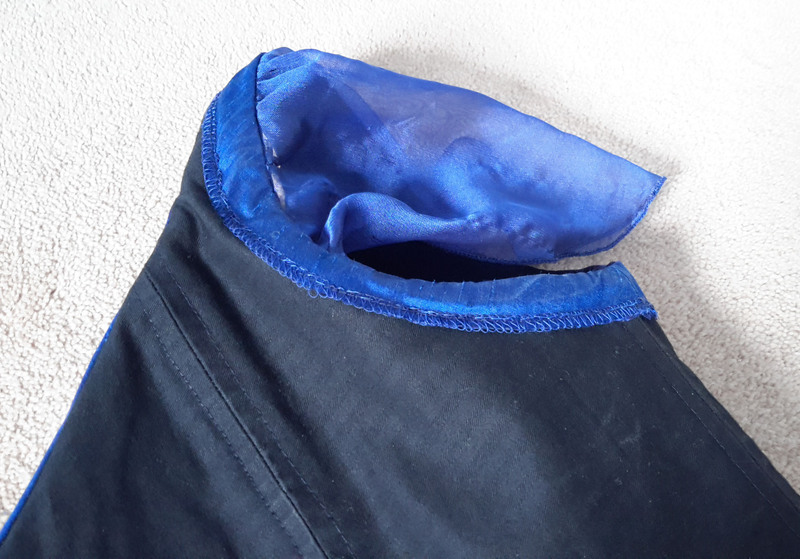 Because I initially wasn’t sure how I would want to attach the velvet drape at the back, I inserted an invisible zip into the right side seam to keep my options open. This also kept it clear of the pleats at the left of the dress. The overskirt was then sewn to the base skirt at the waist and zip, then hemmed after testing it out while wearing the petticoat and boots. My compromise for the silk deficiency was to make a base skirt of polycotton and add on pleated sections of the silk only where they’d be visible. 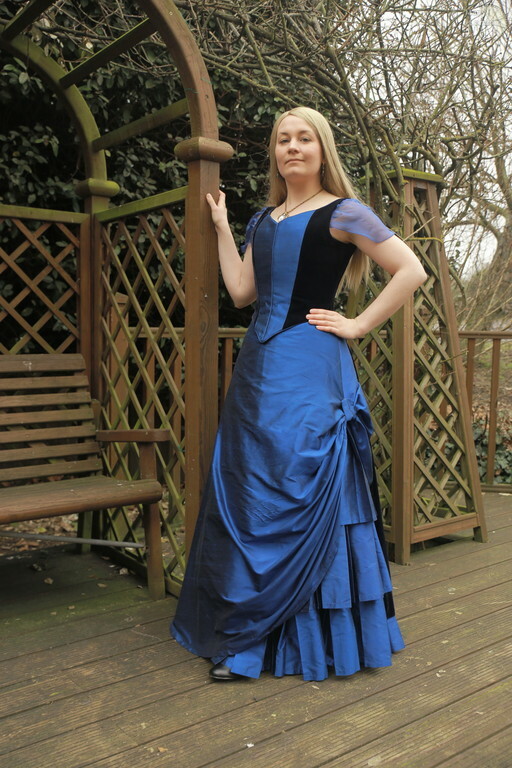 As nice as it would be to have made the whole thing from silk and have pleats continuing all the way round, so much is hidden by the overlay that even if I’d had enough fabric it’d be a bit of a waste (and I did enough pleating as it was). I estimated I’d have needed about another 5m of silk which doesn’t come cheap, and it seems that on the actual dress, the uppermost row of pleats stops part way round, so it’s really not necessary. That’s what I’m telling myself anyway. I did attach a complete row of pleats at the hem. The polycotton skirt doesn’t extend to the floor, it finishes where these pleats begin, so the silk is the only fabric that should ever be seen both inside and out at the hem. 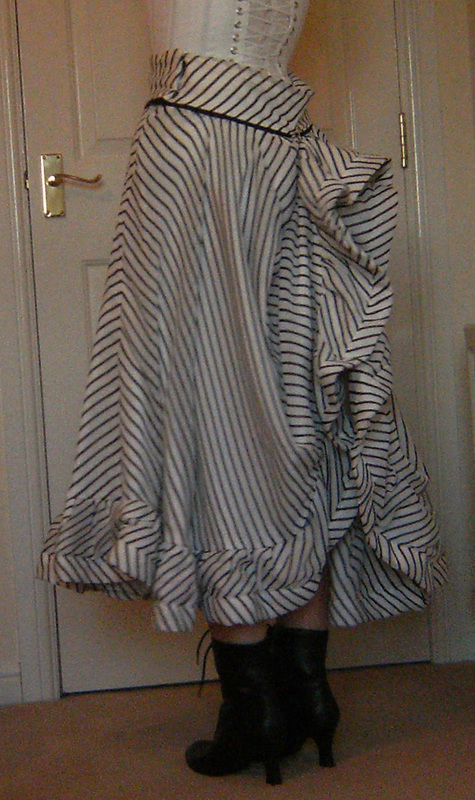 There’s then a second row of pleats sewn to the polycotton skirt which I had enough fabric to extend most of the way round. The third, uppermost pleats are attached at the waist and are only made up of one width of fabric as they’ll show the least. Finally, I pressed in the pleats with my highly sophisticated pleating tool – the piece of card. This wasn’t too tedious but took about 3 hours to complete. The silk unravelled horrendously so I did all my cutting in one day (nice and easy job with straight lines and a rotary cutter) sewed the seams (which were all at the selvedges) then overlocked the top and bottom edges and hoovered thoroughly. I then pressed and sewed the hems. 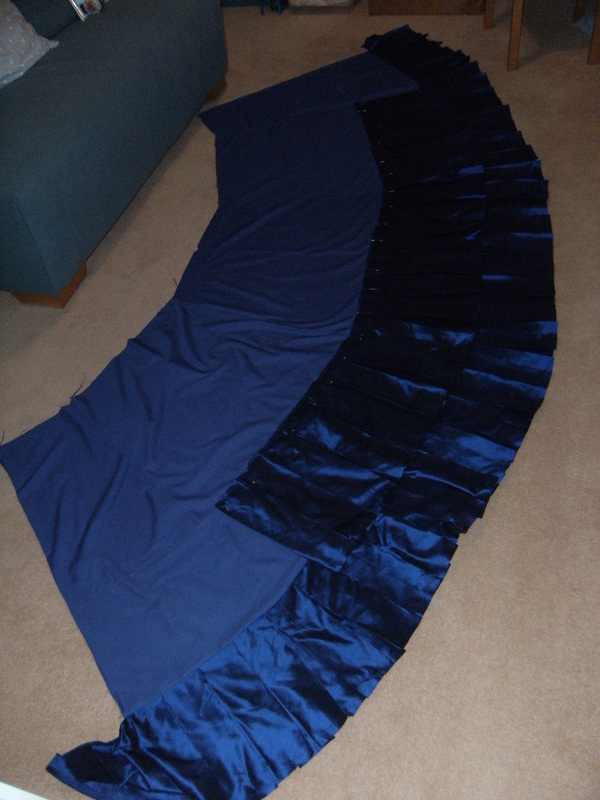 The photo shows the fabric for the lowermost row of pleats, which was about 9m long before pleating. At first I’d planned to do a double-hem, but regardless of the eventual hem, I knew I wanted to overlock the silk since it frays so much, and after I established I could do a very discreet 3-thread finish, I decided I’d take that lazy route and only do a single fold. This also had the bonus of making my limited fabric go a little further and when dealing with what amounted to about 17m of hem in total for the pleats, anything to speed up the hemming was welcome! With boots, petticoat and corset sorted I was ready to pattern out the dress. 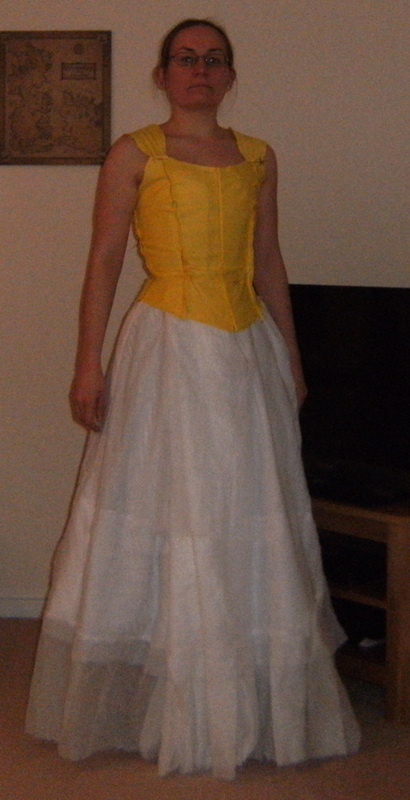 I started with the skirt so that that bodice can later be correctly fitted over it. I used a heap of spare fabric to mock-up the base skirt and experiment with the pleats to get a feel for how wide they should be and how long each tier should be. I had to be very precise with calculating how much fabric I needed given the limited silk I had, so once I had a general idea of the measurements, I spent some time playing with the numbers to find out how much of an overlap between the rows of pleats I could have, how far round the upper rows could extend etc. The mock-up fabric I was using is so thin you can see the overlap between the rows of pleats in the photo. 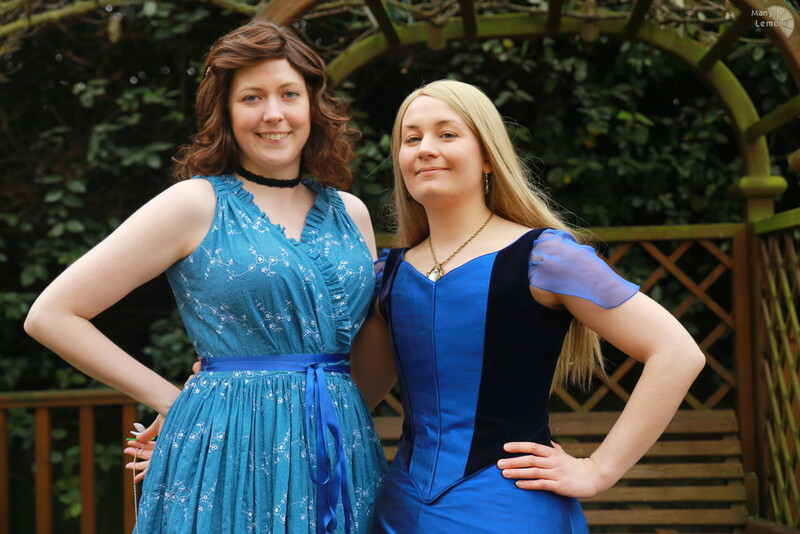 I’m also wearing an initial bodice mock-up, which I’ve yet to do anything further with, but it was at least helpful to have at this stage to ensure the waistband of the skirt wouldn’t show. 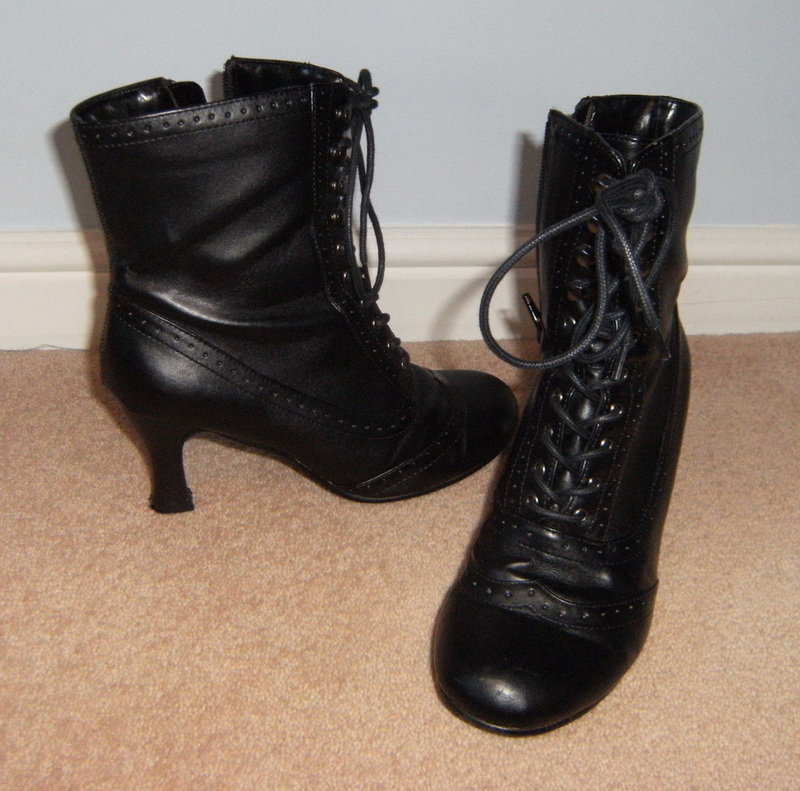 The boots I’m using for now are a pair I already have from New Look. They’re not accurate, but they won’t look out of place and they’ll rarely be seen, so I’ll wear them if I don’t bother with bootcovers. In any case, I’ve made the skirt the appropriate length for that heel height. The boots from my Alice costume do have the correct shaped heels, and I have some suedette fabric, so if I do decide to go for accurate boots, I’ll probably try making removable covers for them. 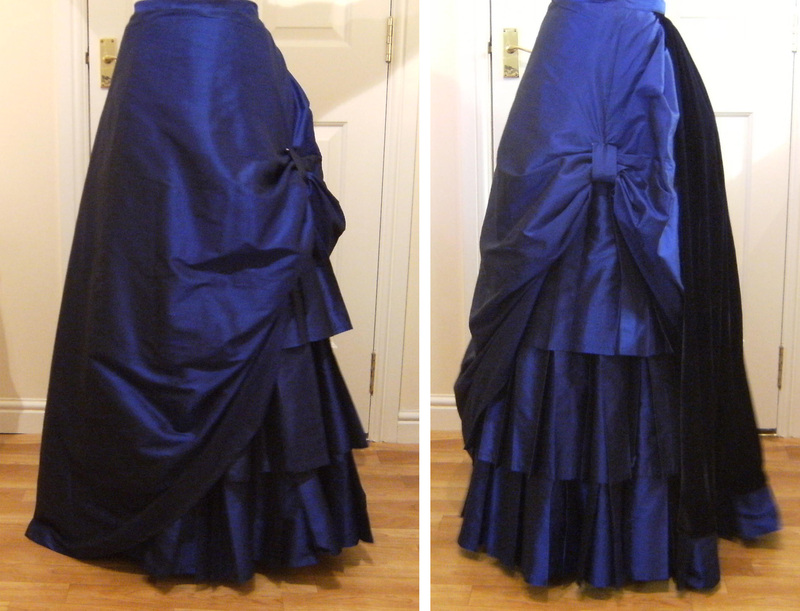 To complete the underpinnings, I’m using the petticoat from my Alice costume, pinned up at the back to create a bustle. It’s a circle skirt with a ruffle at the hem which has horsehair braid in it. I might revisit this eventually, particularly to create a better bustle, but at least I already have something I could use for patterning and fitting purposes. Finished! 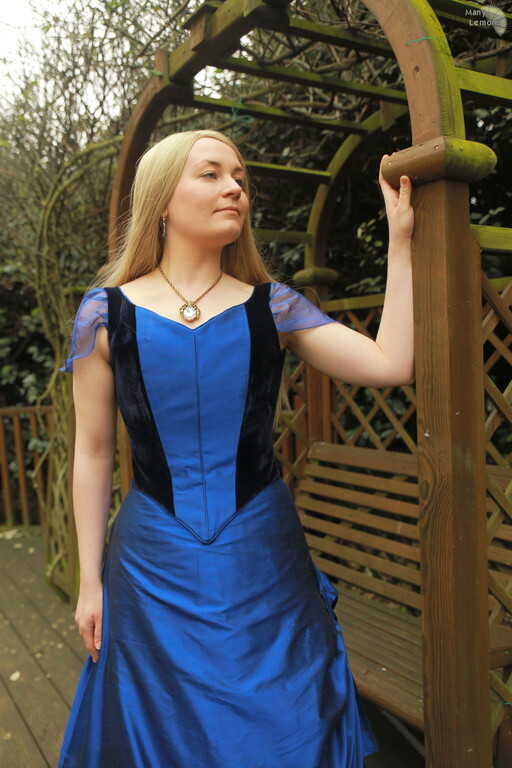 I’m already itching to make another corset as I know I can still improve on my pattern and construction, but considering this one won’t even be seen it can do the job for now. One thing I learnt the hard way was that eyelet tape just isn’t strong enough to cope with tightlacing. I had some handy so thought it’d be a nice shortcut instead of inserting grommets myself. 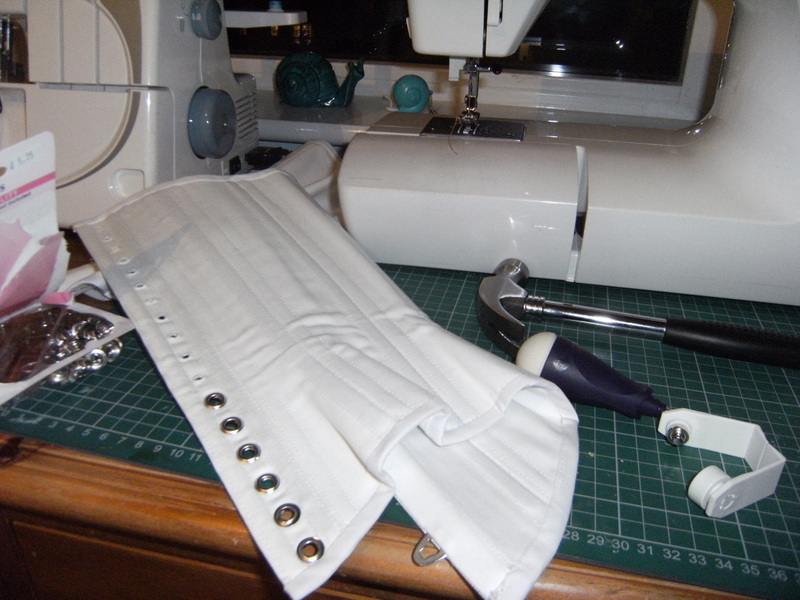 After trying on the finished corset a few times, some of the grommets began to come loose, so I had to prise them all out and replace them with some larger, better ones. It was convenient to have all the holes already perfectly positioned though, but next time I’ll know not to bother wasting eyelet tape. 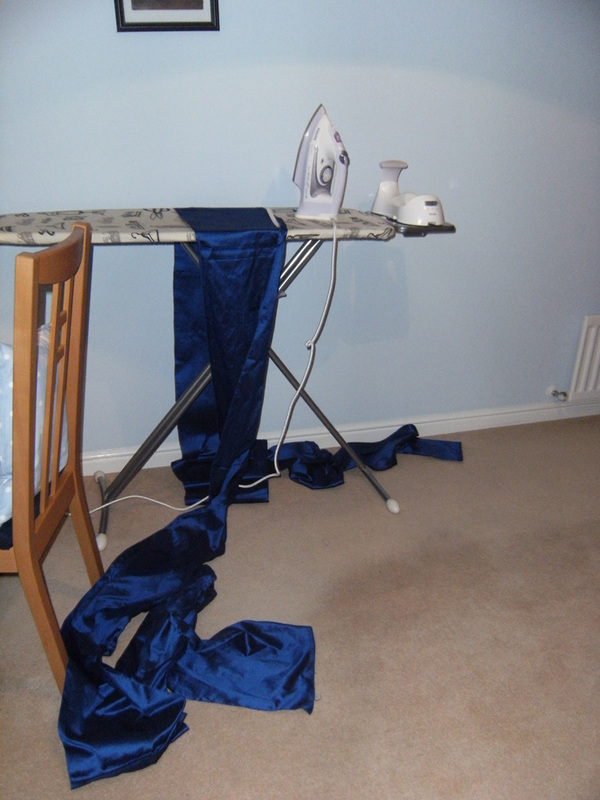 Another factor which kept delaying the dress was having to sort out the underpinnings first. In 2011 when I made my Tinkerbell costume I had a go at sewing a corset with the vague idea that it could support the wings and also be re-purposed for Yvaine. I didn't get a great fit, found I’d have been better off with an underbust for Tink given the low back of the dress and I didn’t end up needing it for the wings anyway, so it went away in a box. 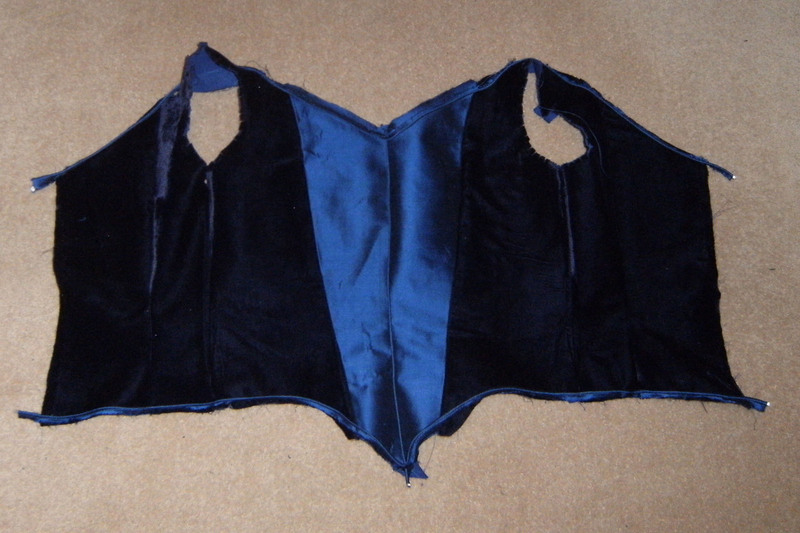 During the summer of 2014 I unearthed the corset and pattern (Laughing Moon’s Dore ) and began adjusting the fit. 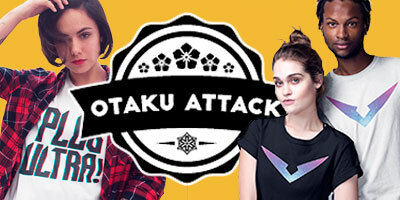 A couple of mock-ups later, and I had something better-fitting. I made the final thing in with a busk this time for more convenience. It’s two layers of coutil with spiral steel boning. 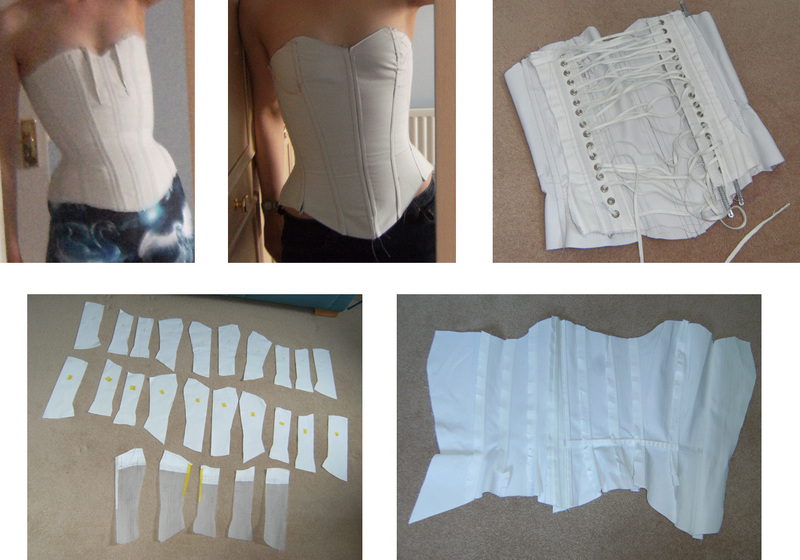 Photos from top left: - The very first corset, roughly pinned for an idea of how much it needed taken in at the bust. - A subsequent mock-up. 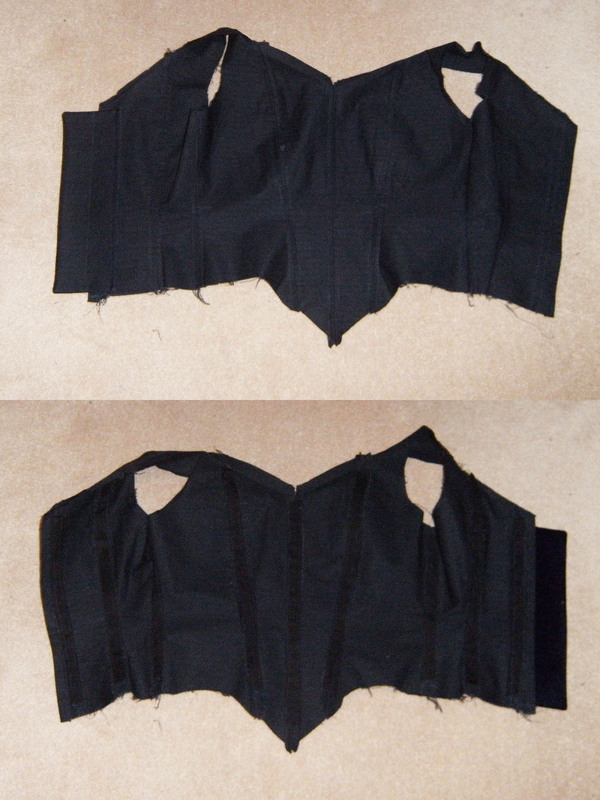 - I cut off the back panels of the original corset to baste on to my mock-ups giving me instant grommets and lacing. 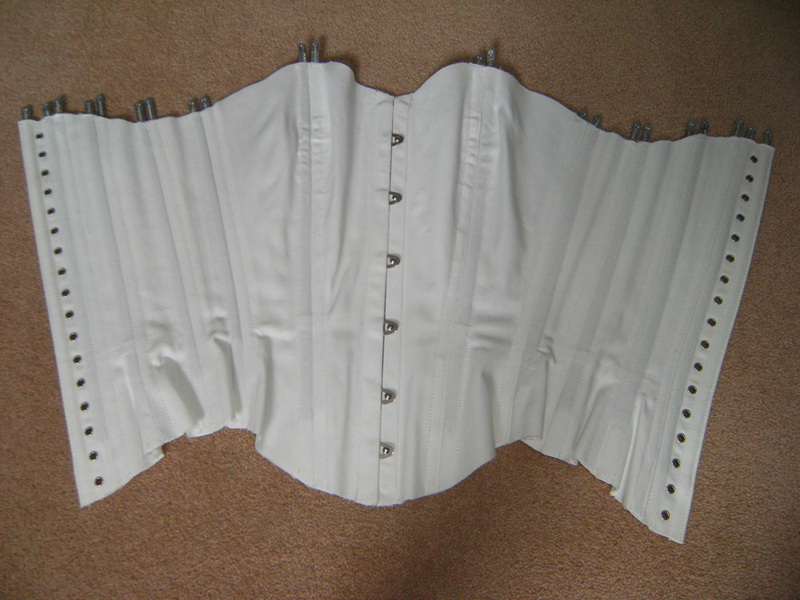 - The final corset pattern and pieces – labeling them with tape was essential! 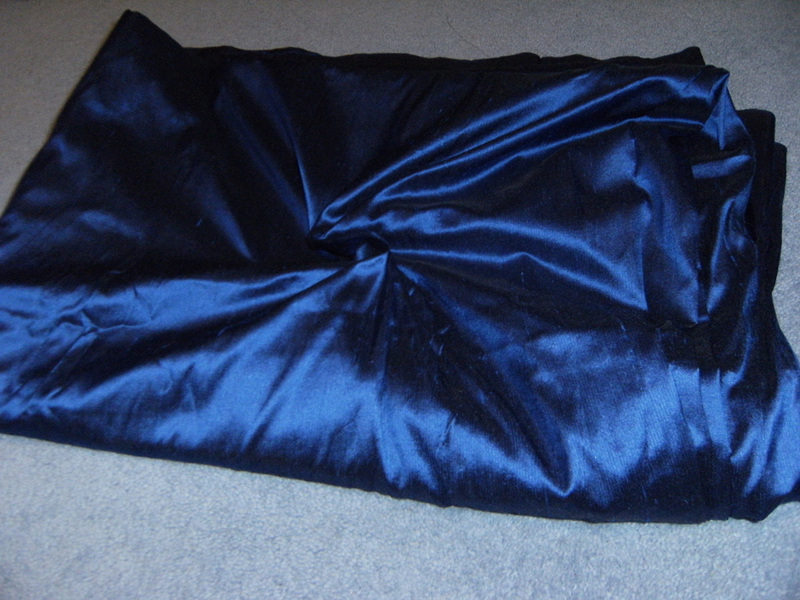 - One half assembled, opened out before the final seam was sewn to close the lining. The sticking point initially was the fabric. 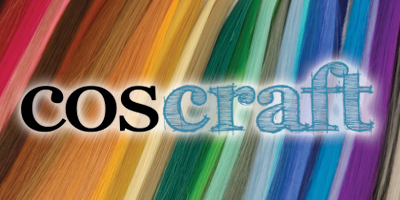 I could never find anything in my local shops, would go through phases of searching online, but every swatch I ordered online turned out to be dark navy or too bright a blue. It needed to be two-tone, so I was always looking at shot taffeta and dupioni, and in the realm of silk, prices were often prohibitive even if I did spot the perfect colour. I had a look for fabric when I visited New York and LA without any luck. Finally, I went fabric shopping in London before the Grand Cosplay Ball 2010. First shop on Goldhawk Road that I went into had silk in a suitable colour and I came away with 8m. I’ve attempted to show it in the photo but it varies significantly with lighting. Once I finally started work on the costume, I realised I could have done with far more fabric, but at the time I couldn’t have justified spending more. Even now that I could afford it, there’s still the compelling argument that if you can find a decent compromise to make a costume more cheaply, then it’s worth doing so. I’m therefore glad in a way that the limited fabric I had made me carefully think about how to best use it all (although my solution of mixing in polycotton with silk might be some kind of sewing crime). 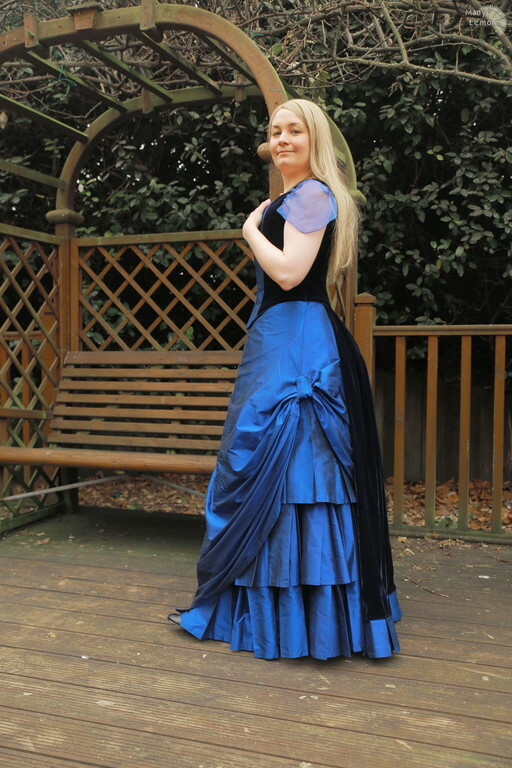 I’d been thinking more seriously about starting this costume all year and in July 2014 when was back in London for LFCC I bought some navy velvet which just about completed all the materials I needed. 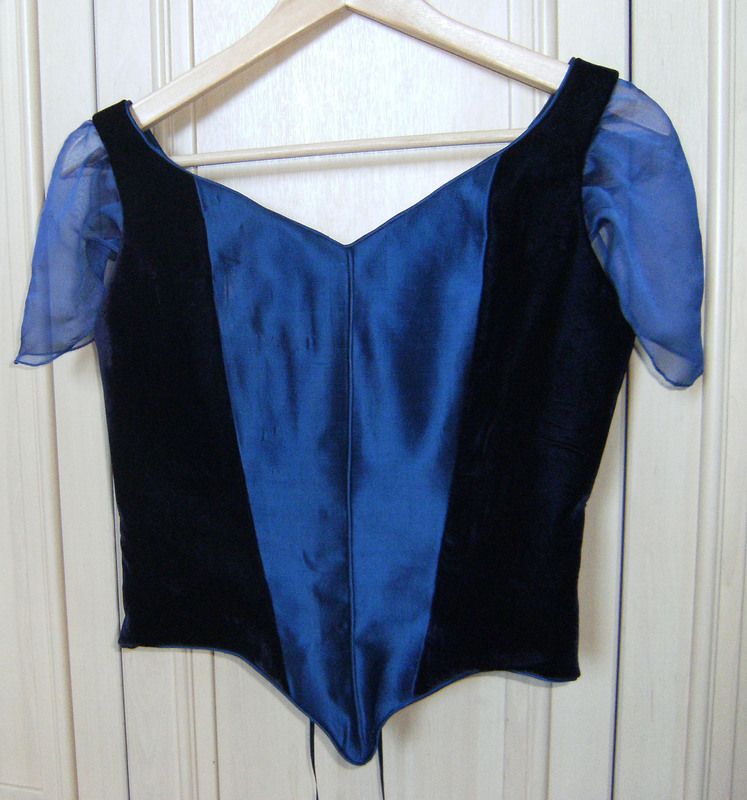 Over time I’d collected most other things I needed for the costume – black coutil to line the bodice, chiffon for the sleeves and even thread. I enjoy Neil Gaiman’s novels, but was never that keen on Stardust. However, I absolutely love the film! I was able to see it at the Edinburgh Film Festival several months before its general release and have wanted this dress ever since. After 7 years of it living on my dream costume list, I finally started sewing during my time off over Christmas. I’m glad in a way it’s taken me so long to get round to making this dress since I feel much more confident and capable of it now. It’s also been a helpful (and unusual) experience to have gradually gathered all the materials over several years and spent so long thinking about it – all that preparation has definitely made construction a much smoother process.